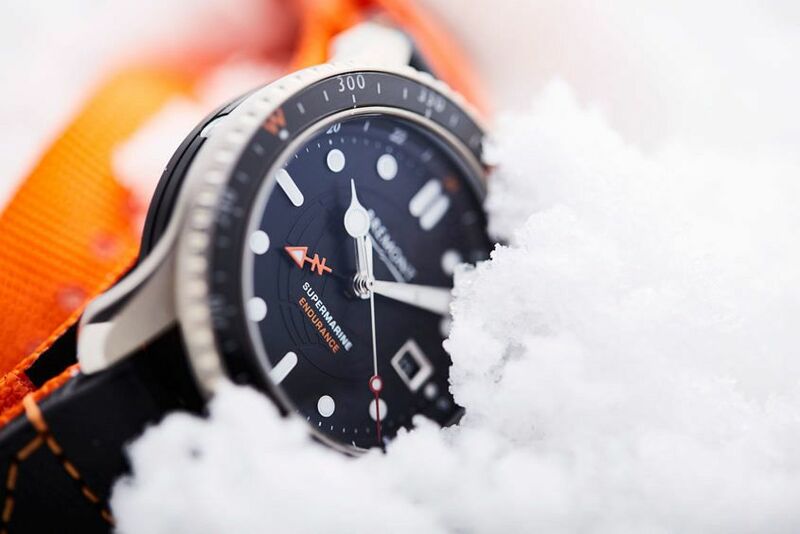 Following on from 2014’s Terra Nova limited edition, Bremont have once again teamed up with polar explorer Ben Saunders to release the Bremont Endurance. Retracing Sir Ernest Shackleton’s ill-fated journey across the South Pole, Ben wore the Endurance as he attempted to make a record-breaking first ever solo and unassisted trek across Antarctica. After 52 days, and having crossed 1086km, Ben reached the South Pole; however, without enough food to continue, he was forced to halt progress and return home. Nonetheless, he still became the first person to complete solo ski expeditions to both the North and South Poles without support or assistance. Weight being a top priority, the case of the Endurance is constructed from lightweight titanium, with special attention given to protecting the movement from some of the most extreme conditions on Earth. Starting with a 43mm Supermarine case, there’s an automatic helium escape valve and patented anti-shock movement mount. 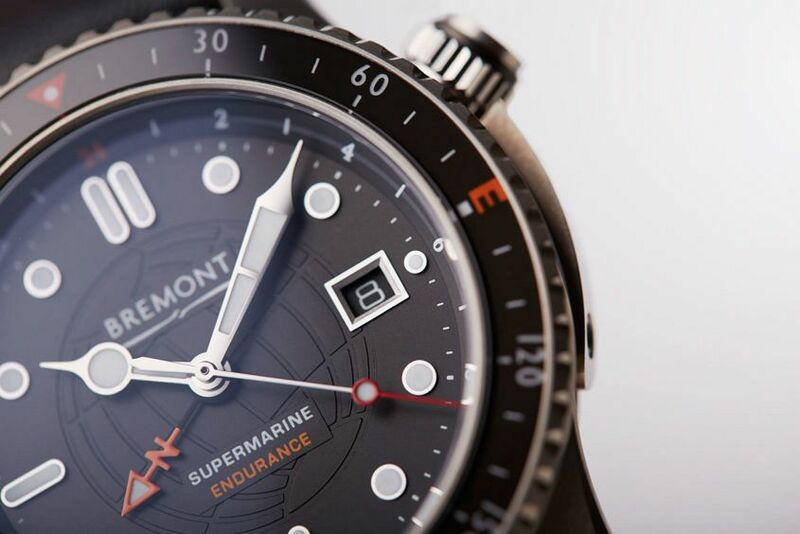 Water resistance is kept to 500m while an exhibition display case back opens a window for the first time to the 42-hour BE-93-2AE Bremont modified ETA 2893 chronometer movement inside. 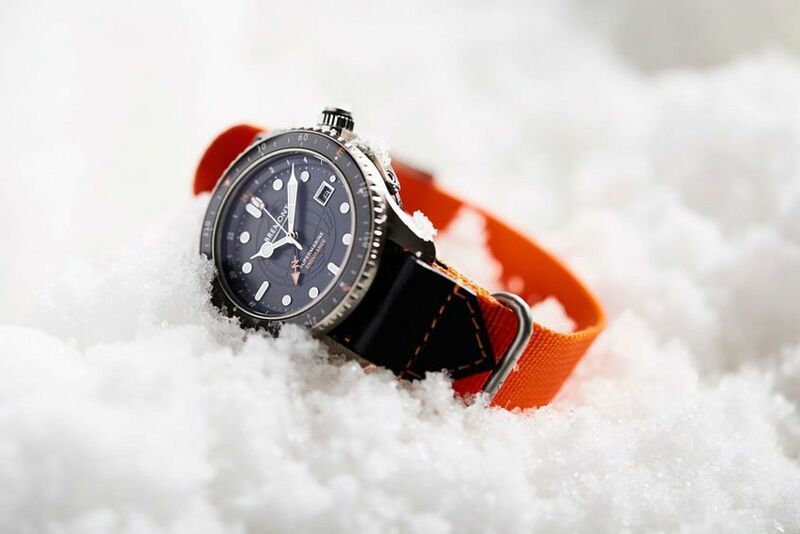 And an orange North indicator on the GMT hand combines with orange compass markings on the bidirectional rotating sapphire bezel and a 24-hour scale on the inner bezel, to not only provide a second time zone but also serve as a crucial navigational tool in the frozen tundra. 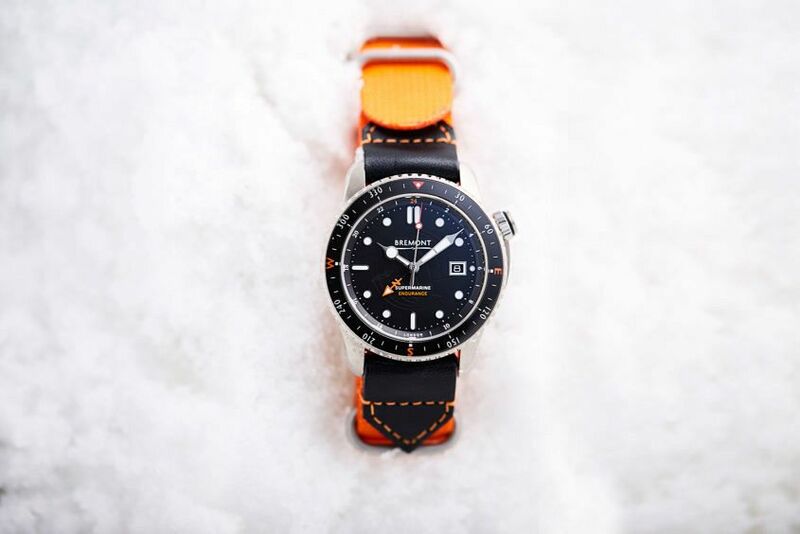 Limited to 300 pieces, the Endurance will come on an orange 22mm NATO strap. Designed to endure in the harshest environments known to man, the Bremont Endurance is a proven tough-as-nails tool watch. It looks cool (pun intended) and, if nothing else, is an incredible symbol of human endurance.